the whole length. An off-set work station also free to move along the frame where are positioned: the welding machine, the driller, two control panels and the power supplier. The drilling machine always guarantees a centered hole in the middle of the pipe. The trolley system of the work station, with an electric motion regulated by a potentiometer, always allows easy operations during the movement, drilling and welding phases. The machine is equipped with two anti-tilt systems at the sides. 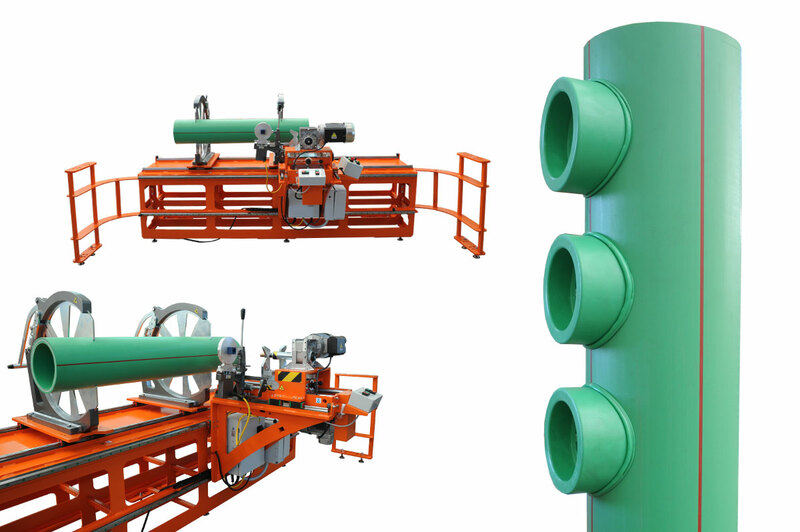 Dimensions of hole saws and connection shafts depend on physical characteristics of the PP-R fittings. Saddle sockets available for different brands.